Silver shamrock earrings feature an open sterling silver design that is enhanced with green crystals in each leaf. 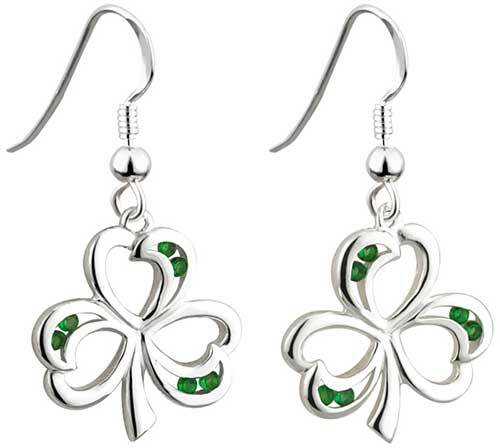 These sterling silver shamrock earrings feature green crystals in each of the open leaves. 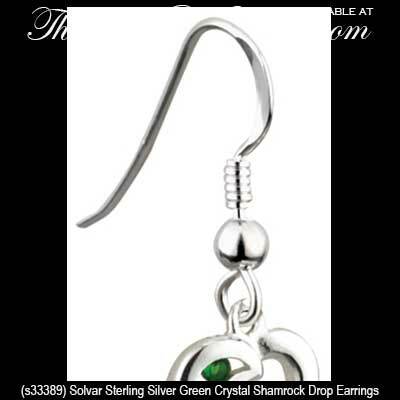 The drop shamrock earrings on fishhooks measure 5/8” wide x 1 1/4” tall, from the bottom of the earring to the top of the wire. 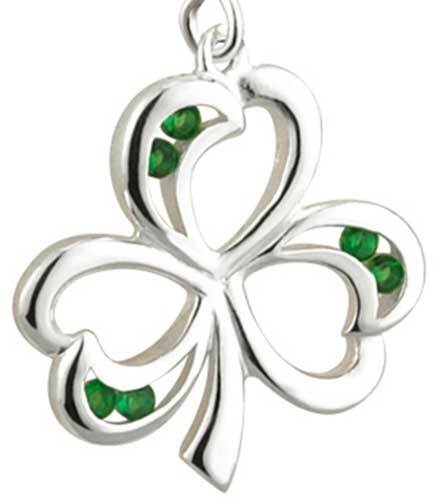 Shamrock necklace features sterling silver construction that is accented with green crystals.